Injection moulder and medtech supplier Boddingtons will return to this year’s Compamed exhibition, marketing a raft of Class 7 cleanroom manufacturing services to medical OEMs, buyers and specifiers. 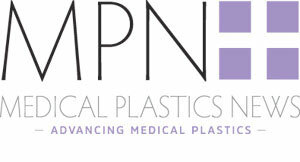 The company’s newly-launched £4.6m injection moulding factory has been home to a continuous number of medtech projects since its launch this time last year. Complex multi-part medical assemblies are offered by Boddingtons as are moulding developments in biosciences and genetics. Tibbs added: “We produce a variety of med-tech components and products, including Class 1 and 2 medical devices, and we service and manage all the associated services, including the full FDA approvals process. Boddingtons provides injection moulding and manufacturing services for both international OEM names and SME-based start up businesses in medtech healthcare manufacturing. In the latter category Boddingtons recently won UK plastics industry awards for its product design work for both ARC Medical and Braidlock. Boddingtons will exhibit at Compamed 2017 in Hall 8A, Stand R 26.